Sometimes you want to close several buffers and not just the current buffer with SPC b d.
SPC b b displays a list of open buffers in a popup window. M-SPC opens the Helm transient menu on the buffer popup window, allowing you to navigate using j and k keys. M-D will prompt you to kill the buffer the cursor is currently on. t will mark the buffer the cursor is currently on. T will mark all buffers listed in the popup. M-D will prompt you in turn to delete all the marked buffers. There are a range of actions you can run from the Helm transient state or even when you just have the buffer list popup open. 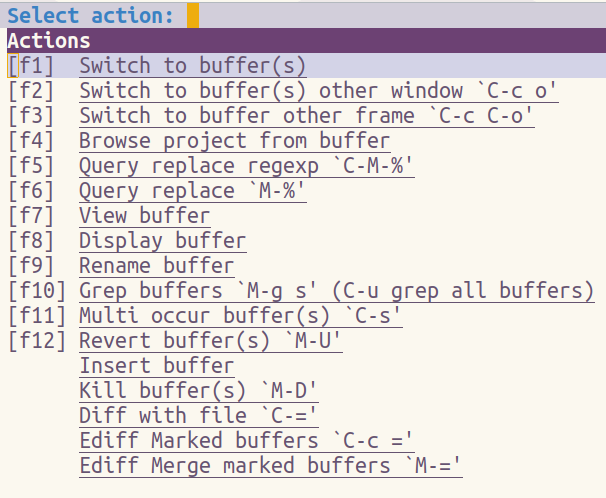 C-z displays the list off all the available actions for a buffer. M-SPC to open Helm transient state menu, simplifying the keybindings for tidying up lots of buffers.